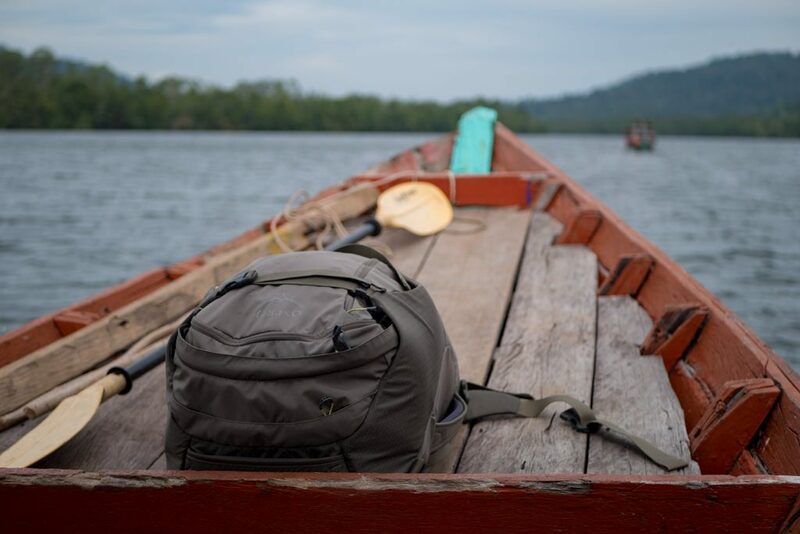 This year Osprey updated its Porter product line with a new design, which I recently put to the test on my latest trip through Southeast Asia. 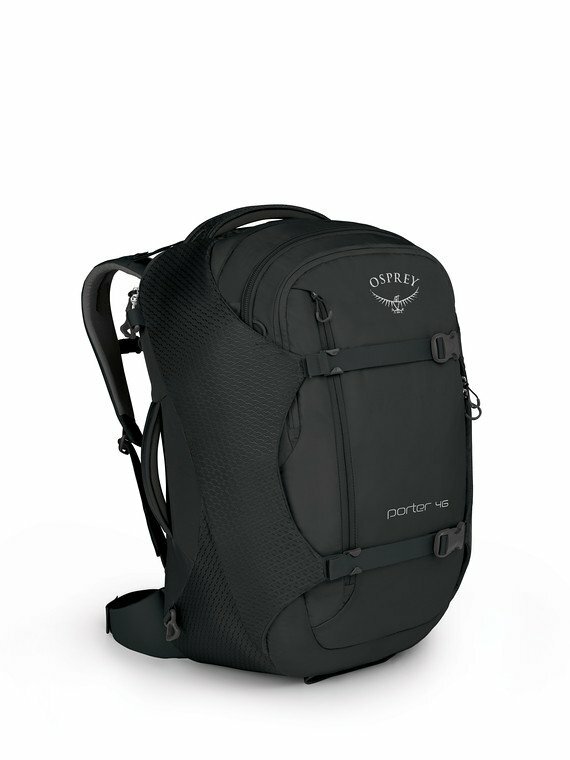 On the surface, the Porter 46 seems similar to Osprey’s Farpoint 40 backpack (see my review of the Farpoint 40). They’re both carry-on size, both intended mainly for traveling, and they both cost roughly the same. But they are also designed from slightly different starting points (and both are slightly better at different things). The Porter 46 is essentially a duffel bag that’s had a backpack harness added onto it. The design of the Farpoint is vaguely more similar to that of trekking backpacks, featuring a bigger and more padded harness. This means the Farpoint is more comfortable to wear for extended periods of time. 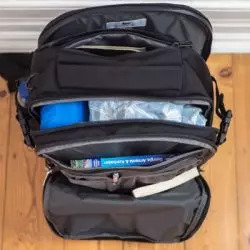 However, the Porter 46 is a lot more clever on the inside, with many more pockets and organizational features that make it much easier to store all your travel items. 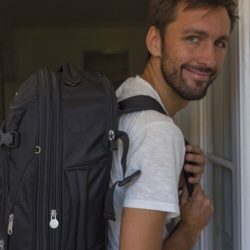 Thanks to its sturdiness, its great variety of useful pockets, and the new (much better) inner placing of the laptop compartment, I think the Porter 46 is currently one of the best carry-on bags you can get. Note: this is an independent review and I purchased this product with my own money. Thick walls that stand up even if there’s nothing inside. I should mention first of all that the Osprey Porter 46 is currently only available in the US and Canada. The old version used to be available in other territories as well, but the new version for some reason isn’t. You can tell if it’s the new version by looking at the logo on the back. If it has an oval badge shape around it, then it’s the older Porter 46 (which isn’t as good). If it only has a monochrome outline of a bird with the word Osprey above it, then you’re looking at the newer version. I’m from Europe myself and so I ordered the new Porter 46 from Amazon US, routed it via a forwarding company, and then paid customs duty as well. This added about $80 on top of the cost of the backpack itself. I did this so I could review it here, but admittedly it’s a bit of added hassle and expense. If you are outside of North America, you may just wish to go for the Farpoint 40, which is more readily available to you. 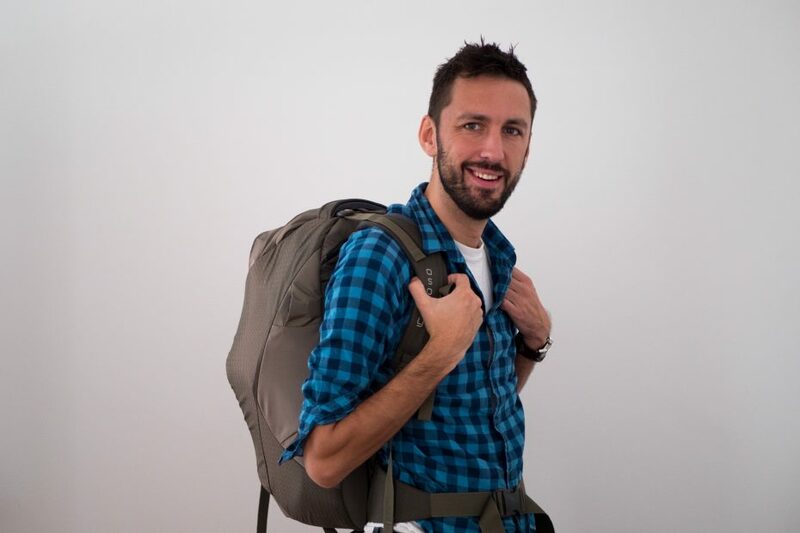 The Porter 46 is a duffel-style backpack with a main compartment that opens like a clamshell. In other words, you zip it open from the side, not from the top. I always like this as it provides quick and easy access to all your clothing and other main travel items. The walls of the Porter 46 are thick and stand up even if there’s nothing inside. It’s maybe not quite as malleable as other backpacks, but it holds its shape very nicely and your items feel rather snugly protected inside its padded shell. The main compartment is just a big space for you to fill however you see fit, but I’ll give a tip of the hat to the two small zipped pockets on the sides for smaller items. If you buy some packing cubes separately, you can organize this space a little more. There are two pockets on the outside, plus this integrated travel organizer. There are spaces here for a smartphone, pens, and other smaller travel items. I love the inclusion of this organizer and it’s much better than the more basic travel organizer on the Farpoint 40. The laptop compartment is located on the back. I think this is much better than placing this on the front, as is common with most backpacks. Not only are your electronics much more protected and not as easily stolen, it’s also better placed in terms of balancing the weight. 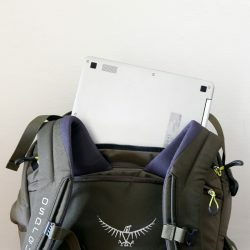 With other backpacks such as the Farpoint 55, I’ve often felt like the bag got a little wobbly when putting laptops or other electronics in their outer pocket. With the Porter 46, I never felt this way. It just makes sense to have heavier items closer to your back. So far, so good, but the Porter 46 does have some minor weaknesses. Firstly, it lacks any back padding. The stowable waist and shoulder straps are also relatively thin, making this bag somewhat less comfortable to carry for longer periods of time. It was still fine for me on a European backpacking trip, as I carried the bag only briefly when switching between transit modes. For this style of travel, it was fine. That said, the Porter 46 simply doesn’t hug my back quite as well as a Farpoint backpack as there’s no cushioned padding and the straps are not as wide. You notice the difference especially when the bag is very heavily loaded. Earlier this year I took my other Farpoint backpack on a 7-day hiking trip in the Himalayas. While the Farpoint bags are not necessarily designed with trekking in mind, their harness was still good enough for me to wear them for hours on end without a sore shoulder or back. With its lighter harness and straight back, I would probably not push the Porter 46 that far (but then again, that’s not what it’s designed for). Nevertheless, the harness of the Porter 46 is still superior to many other carry-on bags. The eBags Mother Lode, for example, doesn’t have a waist strap and doesn’t have adjustment straps on the shoulders at all. So when compared to some of those “suitcase on your back” style airport bags, the Porter 46 is actually better. 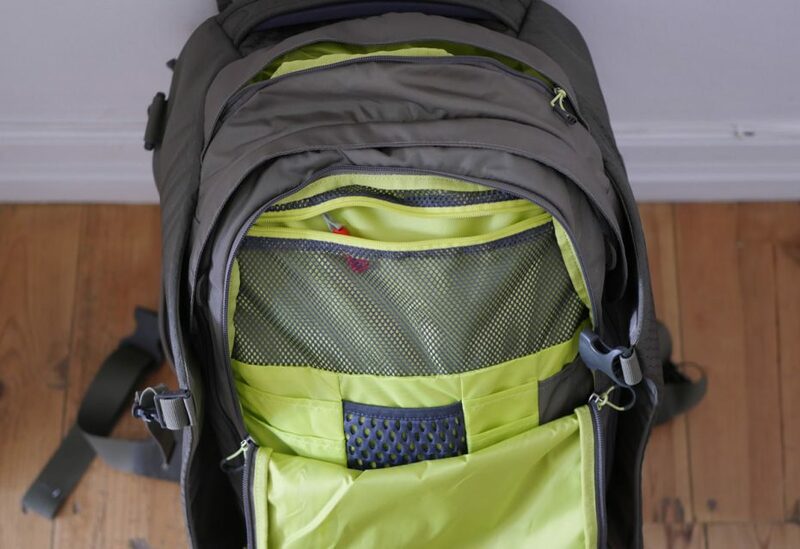 While the Porter 46 harness isn’t perfect, it isn’t the worst either, and if you are staying mainly in hotels or hostels (rather than camping or trekking) it won’t be too much of an issue. When I received my Porter 46 I was initially a bit surprised by the color. I chose the Castle Grey option, which in product photos looks like dark grey, but in reality it’s a light brown (or perhaps beige or khaki?). I like it now but it’s not what I expected at first. If you’re after a darker color, I would suggest simply getting the Black version, which in reality actually looks more like dark grey. 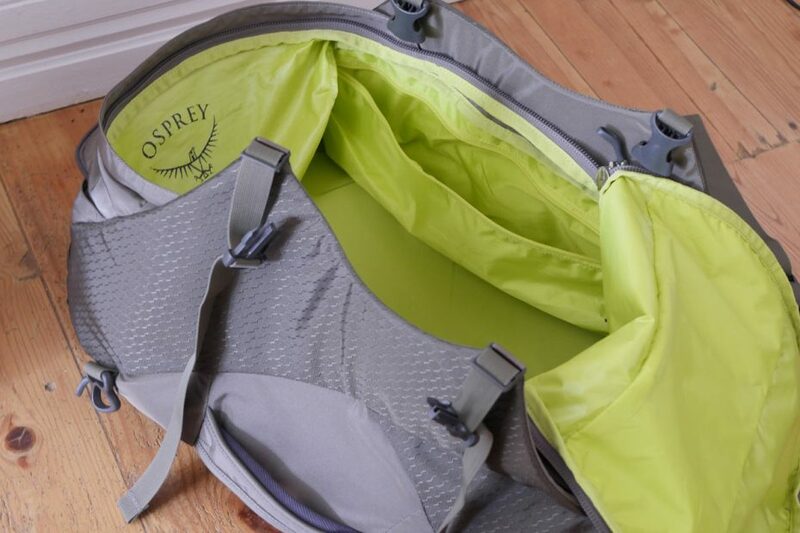 Osprey uses slightly reflective fabrics which can look different depending on the light. Expect the bags to look brighter in person than they do in the product pictures. The Porter 46 is a clever backpack. I have long been a fan of the Farpoint product line, but I must admit the Porter has made an equally great impression on me. 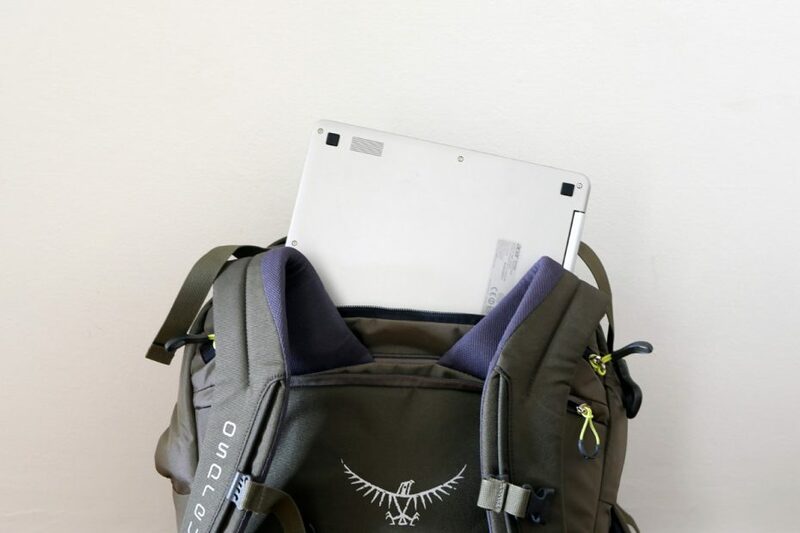 I love the numerous places to store smaller items, as well as the snug and well-placed laptop compartment. The integrated travel organizer is fantastic. I still recommend getting a Farpoint (or a similar bag) if you’re going on a more adventurous trip or expect to carry the bag on your back for longer periods of time. The Farpoint is more comfortable to wear and also comes in two sizes (M and L) whereas the Porter is a one-size-fits-all. That said, if you’re just going to be wearing your bag on the way to your hostel/hotel or during transit, then the Porter 46 is a fantastic choice.